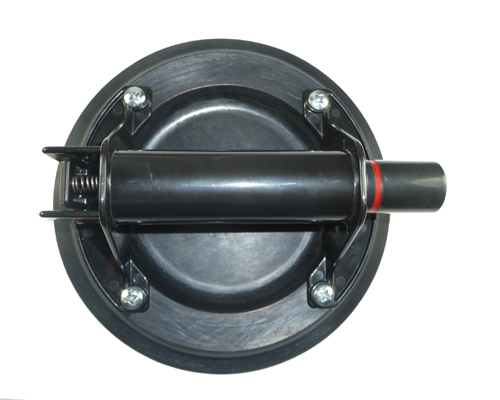 8" diameter vacuum suction cup with tough light-weight plastic body and ABS gas barrel. Excellent for lifting and carrying stone tiles, slabs, and glass. 125 lb maximum horizontal lifting capacity and 100 lb maximum vertical lifting capacity. The suction cup comes with a black plastic carrying box. 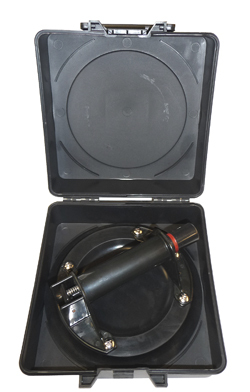 Click here for User Manual for Vacuum Suction Cups.